Whether you are at the inception of a case or walking into a courtroom, we are here for you. 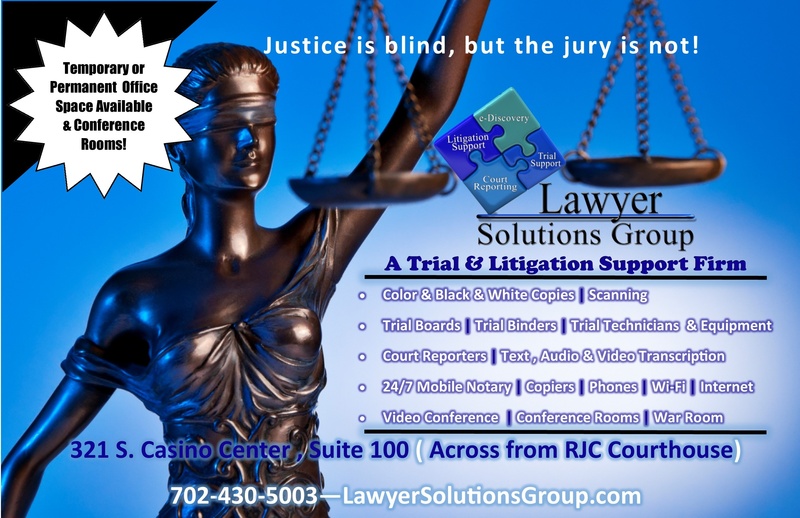 At Lawyer Solutions Group in Las Vegas, NV, we promise to support you completely, and answer all the questions that you may have regarding your case or the different choices you should consider to give you the advantage. Regardless of the issue, we have the knowledge and experience to help argue the merits of your client's case and find a solution that will help you win. If you need support in Nevada and want to know more about our valuable services, call us today at 702-430-5003. We will be happy to answer all your questions. Do not forget to ask about our services such as copy and scanning and Record Archiving.